Can Tai Chi Boost Your Health and Wellbeing? Lomas-Vega R, Obrero-Gaitán E, Molina-Ortega FJ, Del-Pino-Casado R2. Tai Chi for Risk of Falls. A Meta-analysis. J Am Geriatr Soc. 2017 Sep;65(9):2037-2043. Ngai SP, Jones AY, Tam WW. Tai Chi for chronic obstructive pulmonary disease (COPD). Cochrane Database Syst Rev. 2016 Jun 7;(6):CD009953. Wayne PM, Walsh JN, Taylor-Piliae RE, Wells RE, Papp KV, Donovan NJ, Yeh GY. 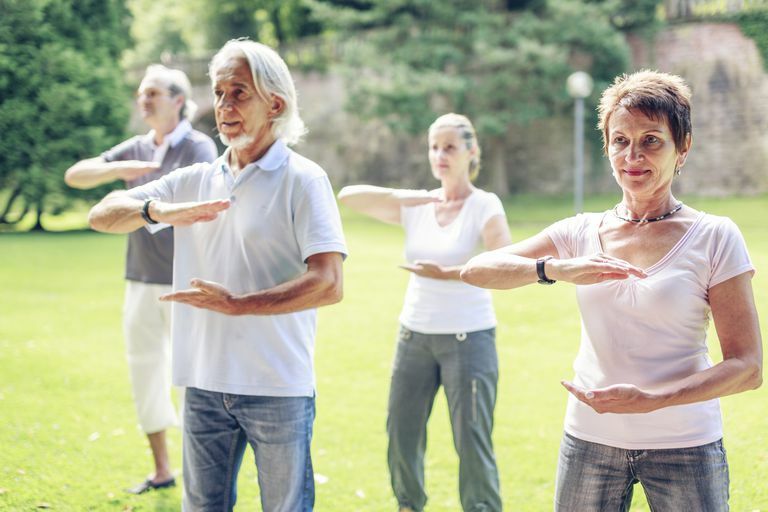 Effect of tai chi on cognitive performance in older adults: systematic review and meta-analysis. J Am Geriatr Soc. 2014 Jan;62(1):25-39. Winser SJ, Tsang WW, Krishnamurthy K, Kannan P. Does Tai Chi improve balance and reduce falls incidence in neurological disorders? A systematic review and meta-analysis. Clin Rehabil. 2018 May 1:269215518773442.